Many years ago, way back in the year 2000. The world had survived the great 2K event and hitting shelves around the world was the album, Hybrid theory. Hybrid theory was the debut album of the insanely successful Linkin Park and the album that brought the name Chester Bennington into many of our lives. Chester was more famously known for being the front man of Linkin Park, which has allowed him to travel the world and touch the lives on so many people through the medium of music. Music has always been a huge part of Chester’s life; from his early years he had dabbled in a few local bands and just as he was about to give up on music when the opportunity to audition for Linkin Park came along. He went all in with the audition and from that fateful day a fruitful and successful relationship blossomed between him and his new band mates. This success has led to Chester obtaining multiple awards, helping create insanely successful albums, and be simply be a part of a band that has helped countless people through their lives. A recent, very on the nose, example is the UK band Dream State contributed a cover of “Crawling” to a compilation album suitably titled “Songs That Saved My Life”. Throughout his career Chester became really close friends with Chris Cornell, to the point where Chester was a Godfather to Chris’ Son. When Chris Cornell passed away Chester was understandably severely upset and affected by this. Before the launch of Linkin Park’s album “One More Light” they emotionally performed the single of the same name on Jimmy Kimmel Live instead of their lead single “Heavy” in honour of the late Chris Cornell. It’s almost impossible to talk about Chester Bennington without mentioning the gut wrenching time many people had to experience this same loss for themselves. Chester took his own life in the summer of 2017 just after the UK leg of their “One More Light” tour. This turbulent and emotional time affected many people around the world; even Mercedes-AMG honoured the late Chester with a tribute designed Mercedes-AMG whilst also provided much financial support for the upcoming tribute show. 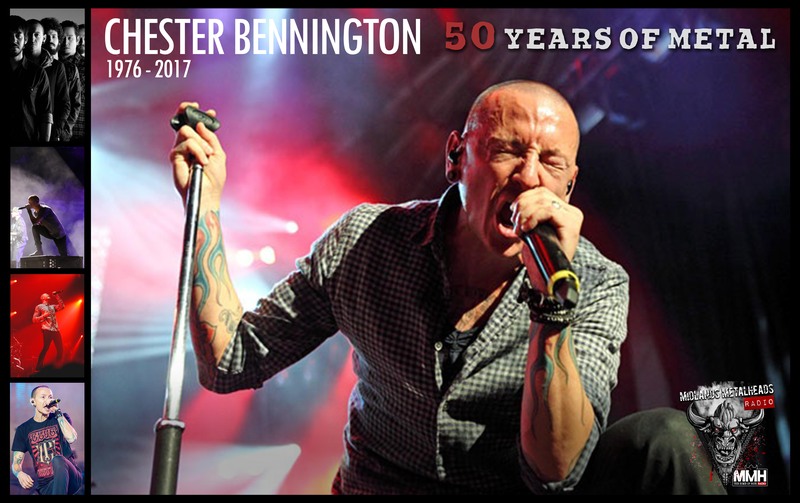 A tribute show was arranged and streamed at the Hollywood Bowl, all the profits would go directly to the One More Light Fund which supported the Music For Relief program. A vast array of artists joined Linkin Park on stage to honour Chester in what can only be described as an emotional celebration of life and a way for everyone to show support. 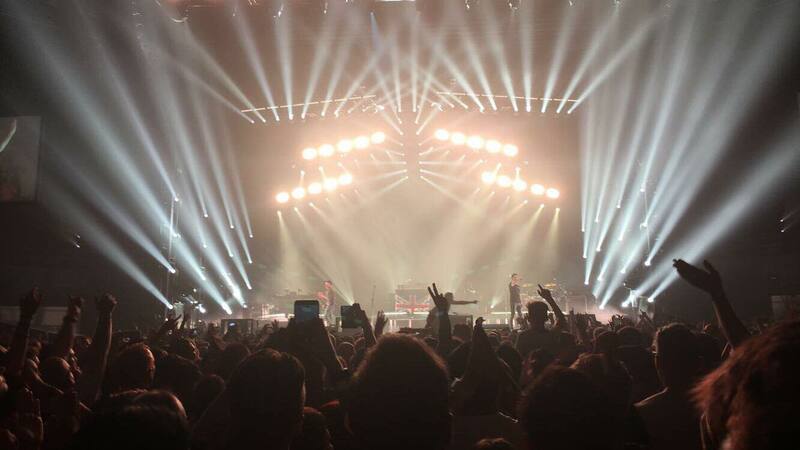 The approximately three hour show featured many Linkin Park fan favourite songs as well as allowing the band to publicly say goodbye to their friend. For more information on this event please read the public press release here. Chester Bennington will be remembered for being a member of an extremely iconic band, father, and husband. Please, if you are struggling right now, or know somebody that is. Reach out. Help is available. Times will get better. It can be hard. This written article was incredibly difficult and emotional to write as I looked back over Chester’s life and time in Linkin Park. Whilst Linkin Park may not be my favourite band I’ve always held a place for them close to my heart and this article was nearly never written. Back in 2007, when I was 11 Years old and in Year 7 of secondary school, I first heard “Bleed it Out” from the awful quality of someone’s phone. Out of all the songs that seemed to be circulating around the school at the time, this was the one that stuck out to me and ultimately I think guided me towards the path of rock and metal music. My first experience of seeing Linkin Park live was at Download 2014 where they played Hybrid Theory in full which made me extremely happy as I still regard it as one of my favorite albums of theirs. The second time I saw them live was actually Chester’s final ever show, in Birmingham, UK, 2017. I’m so thankful to have attended this show especially as I originally wasn’t going to attend due to financial issues. I’d like to use this time to thank my close friend Chris who paid for my ticket so I could go with him to the show. One thing I find really heartwarming and depressing is that “Bleed it Out” was the first song I consciously heard from Linkin Park and was also the final song Chester sang live. In some way, knowing this, it allowed me to gain some closure as it appeared to end a chapter for me.